On Thursday night, Councillor Sue Fennimore and I represented Hammersmith & Fulham at a candlelit vigil in Trafalgar Square. It had been called by Mayor Sadiq Khan. We were joined by leaders of many faiths and people from different backgrounds and nationalities, sending an image of London united in our abhorrence at the previous day’s vile act of terrorism. Four people were murdered. Around 50 people from 12 different countries were injured. I know all the people of Hammersmith & Fulham join me in expressing our deepest sorrow to those suffering injuries and to the families and loved ones of the innocent people killed. 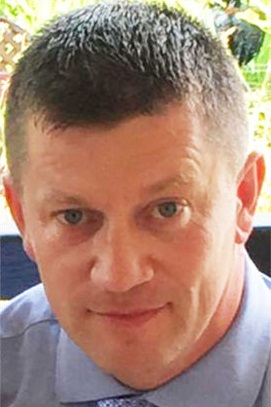 One of those whose life was taken was PC Keith Palmer. PC Palmer had served in the Royal Artillery before becoming a member of the Parliamentary and Diplomatic Protection Squad which he had served in for the last 15 years. We should never forget that when attacks happen, and as civilians are ushered towards safety, it is the police and security services that take the opposite course and confront danger head on. PC Palmer was just 48. He was a husband and a father of a 5-year-old daughter. He courageously faced down the attacker. I can only imagine the grief his family feel today. They do not mourn alone. Around the world people joined to send their messages of solidarity. The terrorists will not win. Our diversity, our unity and our democracy makes us stronger. Our respect for human rights, our belief in the rule of law and our compassion make us stronger. These are the values that confront the hatred they espouse. They cannot win.